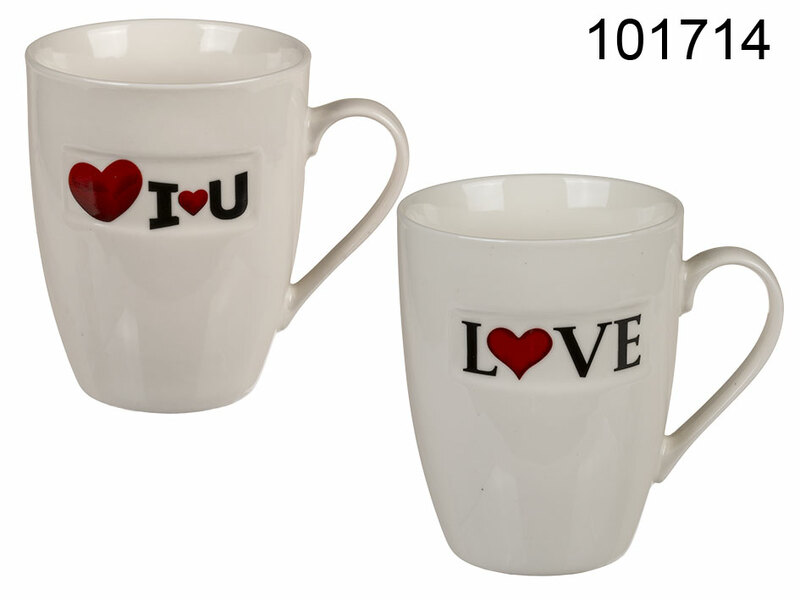 White porcelain mug with cut out space with adorable romantic decor. Two models available - assorted. Romantic promotional item for Valentine's Day. - reads "Love" or "I Love You"